This is the first time the team has engineered identical robots during a single season. Although challenging for this team of 14 students, each felt a great sense of accomplishment for having managed their time well enough to hit the target with such a goal. 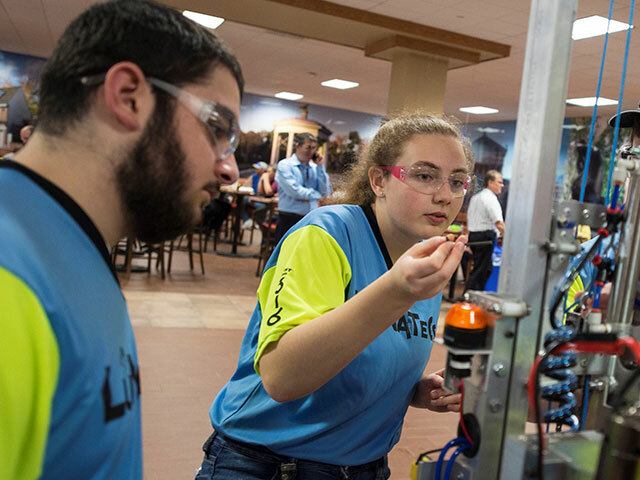 Just eleven hours after bagging their competition robot, the LUNATECS were exciting crowds in Pennsylvania during Boeing’s eWeek event. where they displayed their 2018 Power Up beta bot! You can see the LUNATECS in action in the video below from CBSPhilly.